At M&H, we are about people. The type of people who are talented, responsible, and seek rewarding careers. We encourage our employees to help us build a productive atmosphere of both personal and corporate growth. The result is outstanding career paths for our employees, the best possible service for our clients, and a strong company that represents trust, self-respect, and integrity. M&H provides its employees with many opportunities to develop their professional careers. We trust our employees to achieve great things and we work with them to create effective solutions for our clients, customers, communities and each other. Understanding the importance of a work schedule to meet both your personal and professional goals is important to us. That's why we have designed certain positions with the flexibility to handle highly personalized routines. We wish to ensure your success - inside and outside of the office. We encourage every member of our team to grow professionally, to seek out opportunities to learn about the newest technology, and to find ways to improve the experience we provide our clients. Above all, we want everyone to take pride in accomplishing something that goes beyond the completion of a project. It's a job done the right way. 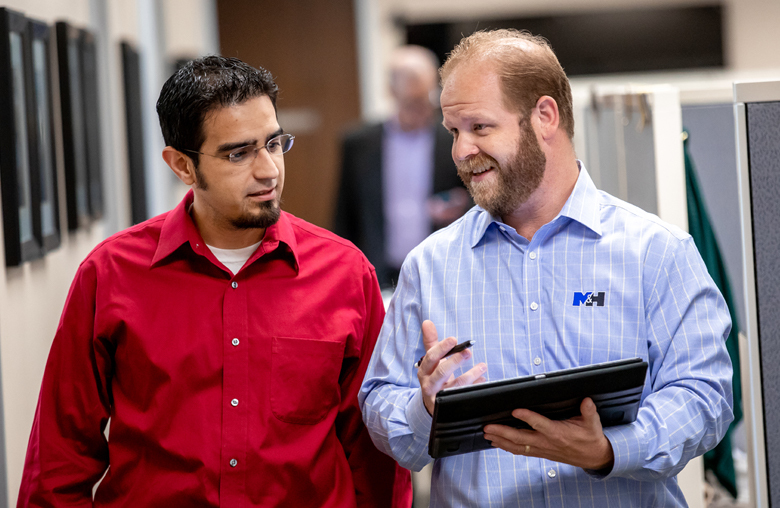 Our employees at M&H strive for excellence in our work and in our relationships. We pride ourselves on professionalism while sharing values, embracing innovation, and celebrating diversity. We believe that how we achieve success is just as important as the end result. We welcome you to explore the opportunities available at M&H and submit your resume. We look forward to hearing from you. "I enjoy working at M&H due to the challenging and dynamic environment, there are always interesting projects that can be very demanding and rewarding. The team atmosphere is valuable, there are always people willing to jump in and help." "The relaxed atmosphere and awesome people I work with at M&H makes it enjoyable and easy to come to work every day. The project work is very diverse and allows me to expand on my technical knowledge and communication skills with our clients. The wealth of knowledge here at M&H is unbelievable and a great asset to the company." "I like working at M&H because each day brings new challenges and situations that allow for a great learning opportunity. The environment is calm, relaxed, and focused on delivering a solution that meets or exceeds the clients expectations."